A Powerful Energizer for Singers! 4 Aromatherapy Inhalers 100% Organic Eucalyptus, Menthol & Other Vaporous Herbs Increases respiration Enhances sexual stimulation A Decongestent Great for Hang-Overs! Energy Booster with a Strong "Kick"! FREE SHIPPING! A vibrant herbal inhaler that opens up the sinuses, resonators, frees respiration and provides an energetic buzz to prepare you for a greater phonation and experience. The aromatherapy Inhaler is a must in preparing for meditation, a sexual stimulant, improving memory and increasing respiration. Great for singers and public speakers who may need to quickly, easily and naturally get more air. Hold under your nose and breathe easily a few times. It is suggested The Aromatherapy Inhaler aids in relaxing so take a few minutes, close your eyes and focus on calm breathing and enjoy the increased oxygen and ease in breathing. An aromatherapy decongestant to open the sinuses. A stimulant to the limbic system to enhance sexual pleasure, memory retention and reduction of anxiety. View What Happens When People Try The Vocal Inhaler! Energy Booster with a Strong "Kick"! A vibrant herbal inhaler that opens up the sinuses, resonators, frees respiration and provides an energetic buzz to prepare you for a greater phonation and experience. The aromatherapy Inhaler is a must in preparing for meditation, a sexual stimulant, improving memory and increasing respiration. 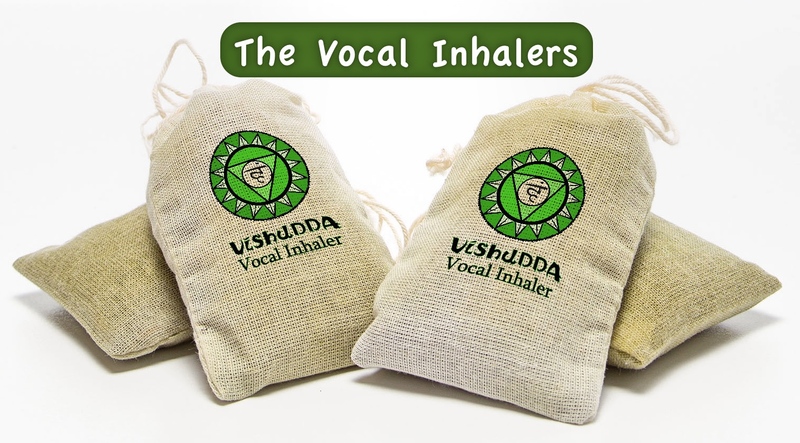 Great for singers and public speakers who may need to quickly, easily and naturally get more air.